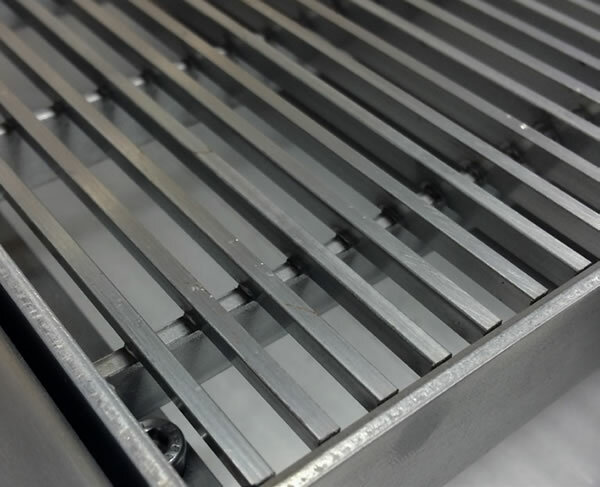 Stylish flow-line grate for wet foot areas with 5mm slot width. Can be supplied with discrete securing. Type FL grate. Please specify either type 304 or 316 stainless steel and grate type.